Leading up to your Smoky Mountain vacation, there is absolutely nothing more exciting than finding the perfect rental. 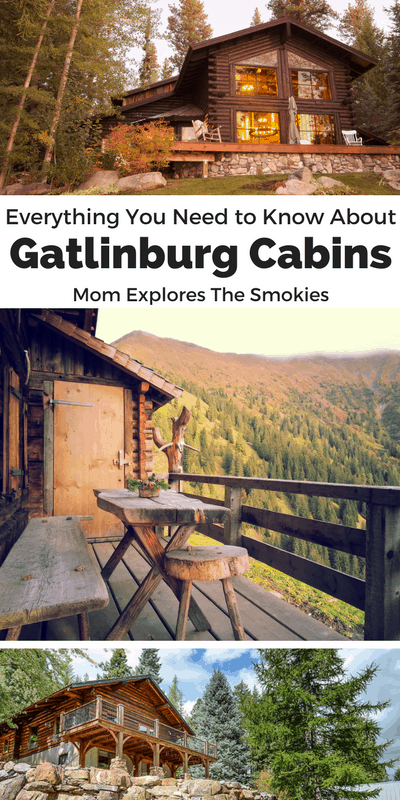 If you are considering one of the many Gatlinburg cabins sprinkled along the city outskirts, you have a lot to consider. Which locations offer the best amenities? Where can you find the best rentals, and are any pet friendly? Which is truly the better option, cabin or hotel? Thankfully, we’ve done all the hard work for you. This page is your one stop shop for everything related to Gatlinburg cabin rentals. So, lets get started! There are literally hundreds of rental management companies and websites just waiting for you to book through them. It would be impossible for you to look through them all, and frankly, many of those resources have duplicate listings. The websites listed below offer the the biggest bang for your click, with thousands of different local rental listings on each one. HomeAway is an amazing resource with thousands of rental options in Gatlinburg! Most of the rentals are through management companies, which means that your rental will be well maintained and stocked with the basics, like toilet paper, when your arrive. The site offers a wide variety of cabins sleeping between 2-20 people, including pet friendly options. Vacation Rentals by Owner (VRBO) also features a large amount of rentals. These are self-managed rentals, which means the cabin owners are handling their own bookings. This often means BIG savings for you! Listings feature a variety of cabin styles all throughout the local area. Cabins are available in a variety of sizes with many pet friendly options. Cabins for YOU is a great locally owned rental and management company that offers a wide variety of cabins, including pet friendly options. Because the company also manages the properties, all listed cabins come with basic necessities like toilet paper, paper towels, etc. Chalet Village – The expansive Chalet Village is actually comprised of multiple neighborhoods. As guests in one of these cabins, you and your family will have access to three outdoor pools, two tennis courts, billiards, a playground and more! All rentals are privately owned homes of various sizes, to accommodate a variety of families. Many rentals are pet friendly. Depending on the location of your cabin you can be as close as 7 minutes away from downtown Gatlinburg. Black Bear Falls – All cabins in this neighborhood are privately owned and managed by their individual owners. Approximately 8 short minutes from the Parkway in Gatlinburg, community amenities include swimming pools, clubhouse, and more! Various sizes and pet friendly options available. Gatlinburg Falls Resort – Only 2 minutes from downtown Gatlinburg, this resort was voted the “Best Family Resort in the Smokies” by Southern Living Magazine! Amenities include a pool, playground and more. All cabins are privately owned, so features will vary. Mountain Shadows Resort– All cabins in this neighborhood are owned by the resort, which is about 10 minutes from the Gatlinburg Parkway. In addition to expected features, each cabin comes equipped with its own grill and hot tub. Resort amenities include 2 swimming pools, billiards, playground, wedding venue, conference rooms, and more! Pro Tip: Not every listing you find in the searches specifies whether or not it is part of a planned community, but if it lists pool access, it’s a pretty safe bet. 1. The absolute number one benefit of renting a cabin is privacy. Unlike hotels, there will be no rowdy neighbors disturbing your slumber and no sticks-in-the-mud calling the front desk if you decide to stay up a little later with some margaritas. 2. You can save yourself a little bit of dough by cooking some delicious meals in your full-size, fully-stocked kitchen, with counter space to spare! 3. Although some hotels do accept pets, as a pet owner, renting a cabin will truly make your life so much easier. You won’t have to worry (as much) about your dog barking and disturbing the neighbors. You won’t have to walk down numerous hallways and/or stairs to take your dog on his late night potty trip. You will have infinitely more room to set up a dog crate, if needed. 4. If you are traveling with a large group, cabin rentals allow for maximum fun by keeping everyone under the same roof. Some rentals in the area sleep upwards of 20 people! 5. Private hot tubs, which almost all the rentals have! 1. If your Gatlinburg cabin isn’t close to a trolley stop, you’ll have to drive into town. Parking can cost upwards of $6/day (But reminder, the trolley has a fee as well). 2. You can’t deny that the Parkway hotels and motels in Gatlinburg, offer unbeatable access to the city’s many shopping, dining, and entertainment options. You can walk right out your door to grab a delicious frozen treat or a round of mini-golf. Beautiful though they may be, you’re just not going to get that convince with a rental cabin. 3. If you are visiting in the winter, you risk being snowed in. But, would that really be so bad? 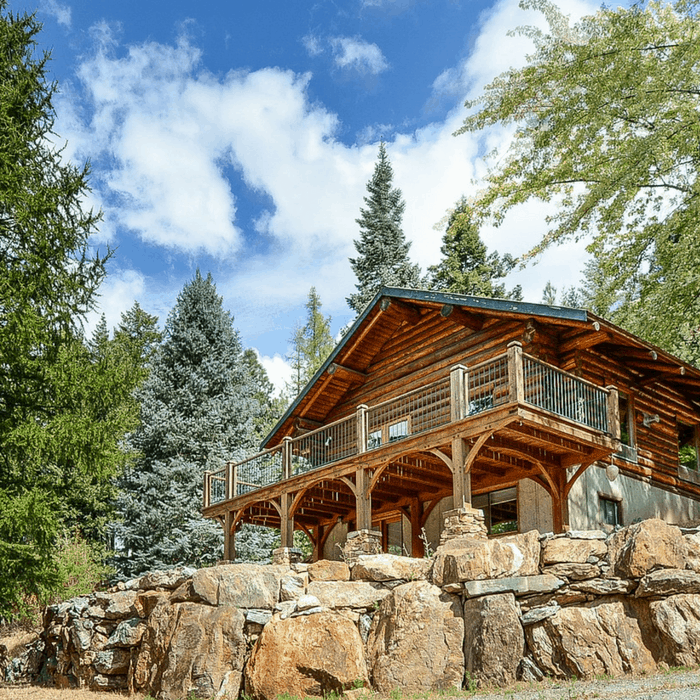 Many frequent visitors to the Smokies dream of owning a hidden cabin retreat of their own with stunning mountain views and a steamy hot tub on the deck. Of course in this dream, the mortgage will be completely covered by your frequent rental guests, who never interfere with your scheduled stays. Well folks, it’s time for a dose of reality. According to Annie Maloney, a local real estate agent, the standard rate for local management companies is a 60/40 split. This means that for every dollar you take in through rentals you only get $60, while the management company gets $40. Realistically this means that unless you mange your own rental, you will likely still get caught footing a large portion of the mortgage and maintenance fees out of pocket. That’s not to say that your rental income won’t make your dream more affordable. Another downer for out-of-towners, who will need to use a management company to maintain your rental, you will not be able to use the rental at your leisure. In fact, it requires a lot of advance planning. When you use a rental management company, you have to reserve a stay in your cabin just like anyone else. Gatlinburg cabins book up fast, sometimes entire years in advance. This means you will have to block out your weeks far in advance of when you will use them, which is probably not the care free vacation life you’ve been dreaming of. But all is not lost. You can always go through Vacation Rental by Owner (VRBO) to manage your own bookings, which will both save you money and allow you more flexibility in planning your own vacations. If needed, you can still hire a rental management company to check on the cabin between guests and restock basic supplies. The fee for that service should be well below the aforementioned 60/40 split. Whether you are looking to rent or buy, we wish you the best of luck in your search. Happy exploring y’all!